A father and son development team have lodged plans for a nine storey Richmond Hill apartment tower to replace the equivalent of four stores on Bridge Road's shopping strip. Inner-city Bridge Road used to be a favourite haunt of bargain hunters scouring factory outlet stores, but in recent years shoppers have been lured away by purpose-built direct factory outlets and an influx of international retailers in Melbourne's CBD. Sydney Morning Herald the strip's vitality has faded as it struggles with vacancy rates among the highest in the state. But developers have been undeterred, eyeing opportunities to revitalise key sites drawn by Richmond's high property values and proximity to the city, MCG and public transport. Citiplan Property with his father Sid Davidoff told the Sydney Morning Herald that he sees it as a transitionary phase Bridge Road is going through. “The strip was evolving into a fashion, service-based precinct,” he said. The group has submitted plans to Yarra Council for a 63 unit development at 183-189 Bridge Road that will have 46 two bedroom and 17 one bedroom apartments. 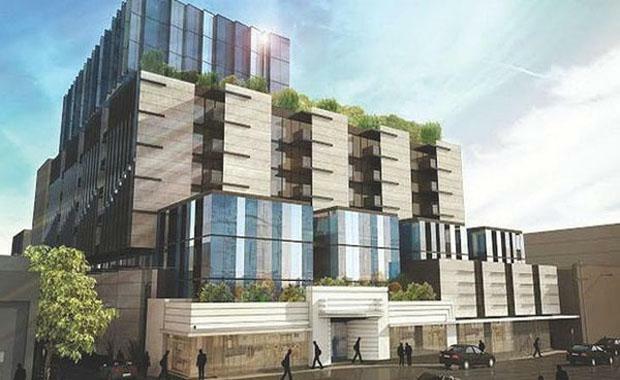 It will cost an estimated $15.1 million to build, replace a large storefront previously occupied by an Anthea Crawford outlet and include three commercial tenancies facing Bridge Road - two food outletsDeveloper Paul Little's Little Projects has lodged plans for a $130 million apartment tower towards Lennox Street. Little acquired the 2700-square-metre site, currently home to a Thomas Dux supermarket, at 153-177 Bridge Road for about $20 million. Mr Davidoff said investors were still active and underpinning projects, particularly in prime locations with less supply. "We try and focus on areas where we see lower supply volumes."